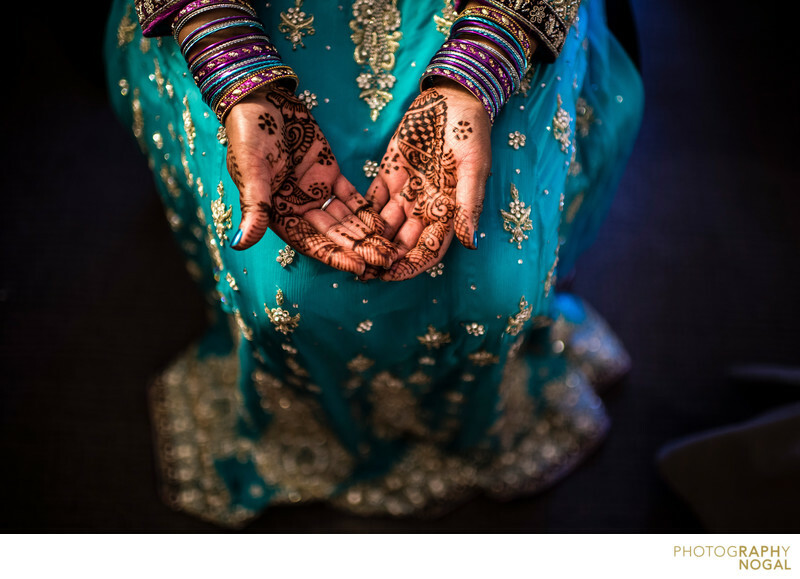 As the Bride was getting her final touches done with hair during the getting ready portion of the day, I noticed her beautiful Mehndi Tattoos on her hands. What really made this photo great was that we had some ambient daylight streaming into the room on the right, and we had incandescent light from a lamp streaming in on the left. The marriage of blue and orange is always a great combination visually. I chose a 35mm 1.4 lens and shot wide open to have everything melt away in the background and keep the focus on her beautiful hands.